Greetings from the M1 South bound! How are things?! 1) The #LondonEyeEP and ‘All of #OneSongaWeek’ album (52 track download with a chord/lyric book) are released on July 1st! We’ll get stuck into the finer details in next weeks blog but for now here’s an interview with some words / more info. 2) I’ll be announcing another headline tour (with full band) in about a week!! Needless to say I’m ridiculously excited about it (especially about the London date, which falls the night before my birthday). Keep your eyes on Facebook and Twitter or make sure you’re on the mailing list if you’d like to be among the first know! 3) #TeamFrank was born less than 2 weeks ago and there are now over 150 of you from a variety of places (some of which I’ve never heard of) between London, LA and Sydney! Several #TeamFrank folk have already attended recent shows to help out with mailing list and flyering duties (in exchange for free tickets and some goodies) and one even drove me from Edinburgh to Newport (from the Spraggan tour to the Watson tour)! HUGE love and thanks go to Laura, Josh (and friends), Katie, Jack, Abi, Leona and anyone else I’ve forgotten. For those who missed the last blog, you can join #TeamFrank by emailing teamfrank@live.co.uk and read a copy of the first #TeamFrank newsletter here. 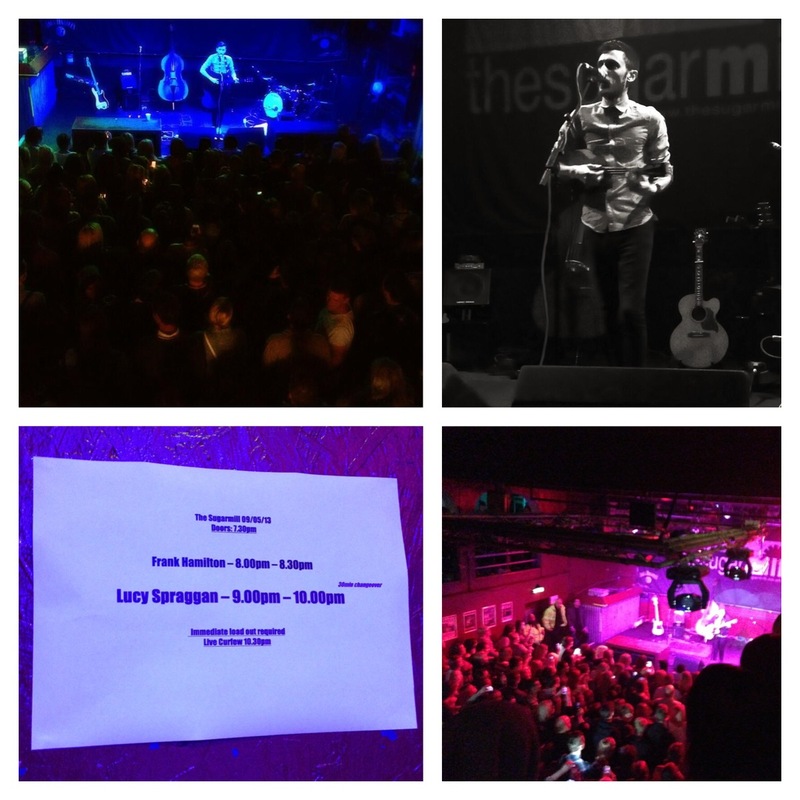 Life on tour with Lucy Spraggan…. was, put simply, an absolute blast! They say that an artists fan base is often a lot like the artist themselves and in this case it was completely true. 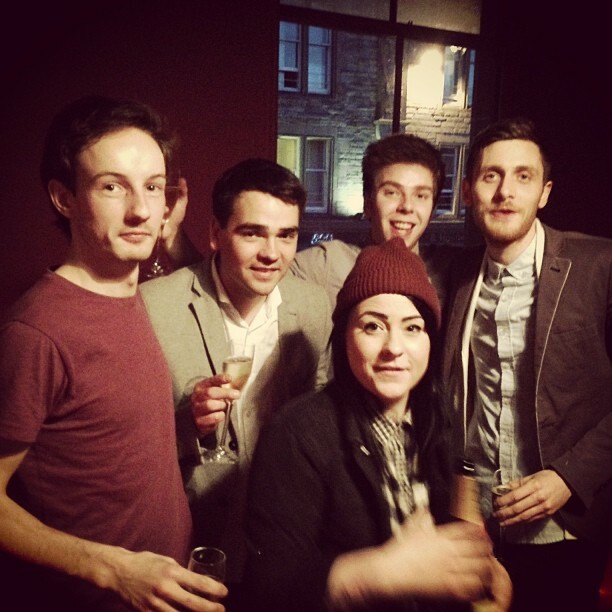 Lucy and her team (Ben the tour manager, Matt the bassist and Alex the drummer) are about as genuine, decent and banterful as it gets and the crowds were exactly the same. 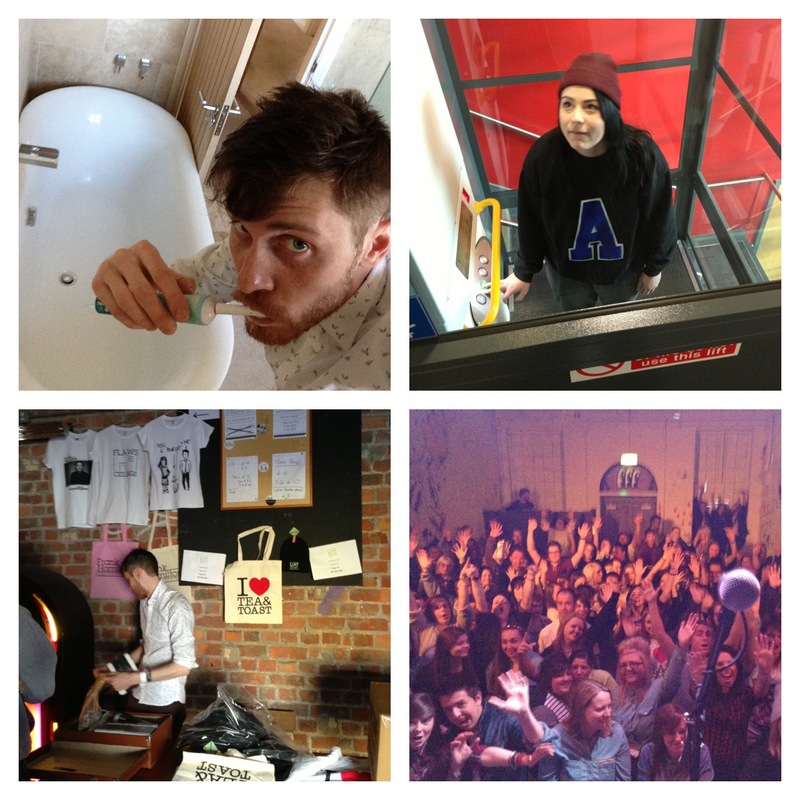 Stoke, York and Newcastle were all amazing, much like Glasgow, Aberdeen and Edinburgh. All in all I was made to feel very welcome. 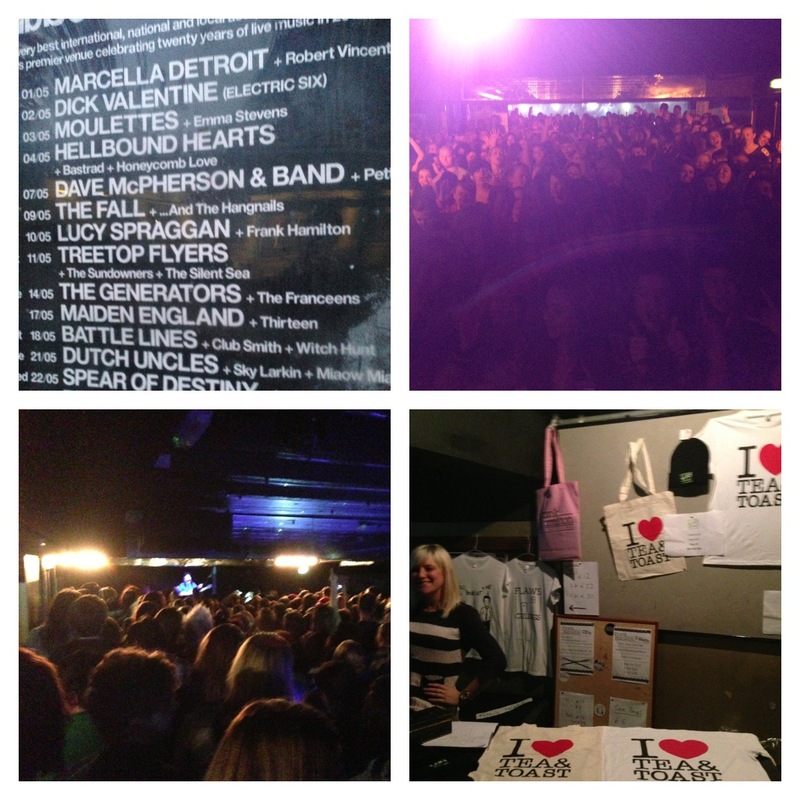 #TeamSpraggan let me travel in the van to keep costs down, Jonathan from DF concerts and the various venues/soundmen were great and everyone I met after the shows was bloody lovely. Safe to say I was a little bit sad when it all finished but there wasn’t much time to mope about… Recent #TeamFrank joinee Laura drove from Newcastle to Edinburgh and then took me and all my stuff across three countries, arriving in Newport last Sunday to start the Lewis Watson tour (which I’ll talk about next week)!! Week 22 of #OneSongaWeek: ‘This Is England and I know I’ll stay forever… put up with you like I do with the weather”.